Take Flight Aviation Limited at Wellesbourne Mountford Airfield (EGBW) in Warwickshire offers you a private flying club with unrivalled facilities, providing its members general aviation aircraft hire without the limits imposed by many flying schools, the hassle associated with flying groups or the financial burden of aircraft ownership. The airfield at Wellesbourne has two hard runways 18/36 917 metres long and 05/23 587 metres. The 05/23 runway is not avaliable on Saturdays and Bank holiday Mondays due to the popular Wellesbourne market. Members enjoy the use of modern pilot lounge facilities and preferential aircraft hire rates, leaving you to fly and enjoy great aircraft as if they were your own! With no minimum daily hours aircraft hire, PPL members can take an aircraft away for a weekend or even a week and only pay for the hours they fly. Members flying aircraft from Take Flights Wellesbourne base receive free landings at London Oxford subject to picking up fuel at Oxford airport. Wellesbourne airfield first opened in 1941 and was devoted to training aircrews, pilots, navigators, bombers, gunners and wireless operators equipped with Wellington bombers and Avro Anson trainers. During the war Wellesbourne lost 96 Wellington aircraft with Wellesbourne aircraft used on more than 1,000 raids. The airfield trained more than 9,000 airmen in just four years. Since then the airfield has been used for vehicle testing and even a temporary base for Air Atlantiques DC3's. From 1981 the airfield has been used for flying training and aircraft hire. 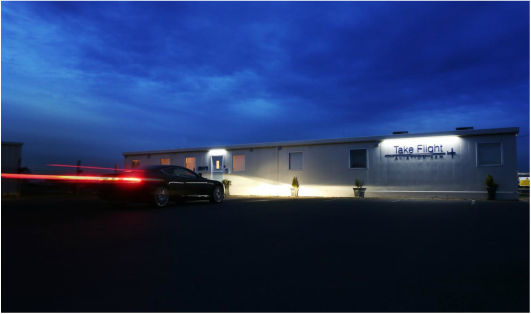 Take Flight has operated at the airfield for over fifteen years and in its current ownership as Take Flight Aviation Limited since 2006. In that time Take Flight has trained hundreds of pilots and undertaken thousands of air experience flights. 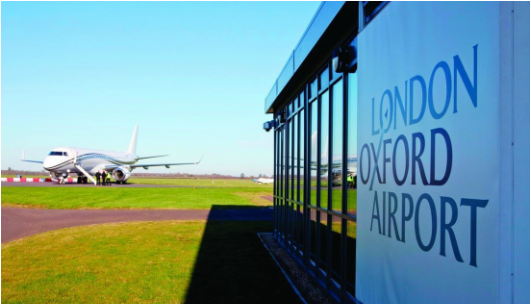 London Oxford Airport (EGTK) formally known as Kidlington is the Thames Valley area’s primary regional and business aviation airport and the only commercial airport between London Heathrow and Birmingham. Located in the heart of one of Europe’s fastest growing and most prosperous regions, Oxford lies 40 miles to the north-west of the Greater London area, halfway to the UK’s industrial heartland of the Midlands. The airport has been the fastest growing facility for private and business aviation in the UK since 2007. Take Flight Aviation has partnered with the airport to continue to expand its General Aviation business and is based in its own lounge within the airports prestigious Business Centre. The Take Flight Lounge also welcomes visiting pilots. The site was first used as an aerodrome in the late 1930’s. From the mid-sixties, the airfield was best known as the home of CSE Aviation and the Oxford Air Training School now Oxford Aviation Academy, one of the world’s most successful professional pilot training establishments having trained well over 18,000 airline pilots for more than 80 airlines over the last 40 years. The airport has two runways 01/19 of 1552 metres and 29/11 of 760 metres. The airfield has an ILS on runway 19. The airport is owned by Aldersgate Investments Limited part of Reuben Brothers Holdings that has a varied portfolio of interests in property and several other businesses. Take Flight Aviation members with an existing pilots licence will be able to enjoy a range of self-service aircraft based at Oxford as well as the extended fleet only minutes away by air at our Wellesbourne Mountford base in neighbouring Warwickshire. Student pilots at Oxford will be able to enjoy pilot training from our team of professional pilots and flying instructors. 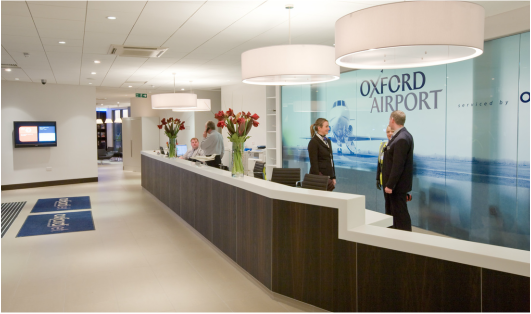 Members at our Wellesbourne base will also benefit from discounted fees at London Oxford Airport.